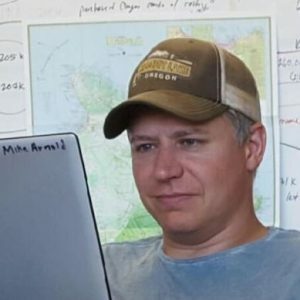 RANGEFIRE Bundy Attorney Mike Arnold Adverse Possession Defense Oregon Standoff | RANGEfire! There has been a lot of confusion about adverse possession, since it’s not available against the government unless the government expressly permits it — hence the federal statute. The statute was intended to protect those homesteaders who fenced in or were otherwise using/improving Interior land without express permission. However, it’s still on the books and hasn’t been updated since the early part of last century and is still available for use by citizens. “The statute in question is old, but still on the books. Whether or not the statute actually establishes a right to adverse possession, or if it’s a waiver of sovereign immunity that covers limited circumstances, or if it just establishes something akin to adverse possession is more a matter of semantics than anything else. For all intents and purposes, the effect is the same. “That said, since the statute requires good faith, a legitimate claim to land, or occupation under color of title, I’d say that it’s unlikely that there are more than a handful of potential cases left where anyone is likely to successfully claim land under this statute. I’m also not sure that the statute is applicable to Malheur even in principle – but I’ll check that a bit later. You see folks, this is what civil discourse is about. Instead of calling dissenters names, try engaging them or else you are the “sheeple” following each other into irrelevance. You should be way more than 3% in the modern social media world. Remember, you aren’t trying to change each other’s minds when arguing. You are trying to impress the silent majority of onlookers whose minds can be changed. For every commenter or “like” we get thousands of other views of posts and comments. This is just an excerpt. Real the whole article.